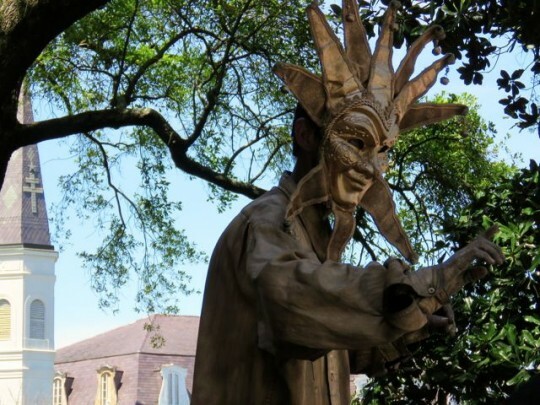 Acouple of years ago, we discovered the French Quarter Festival—a four-day celebration that takes place the second weekend in April in New Orleans. 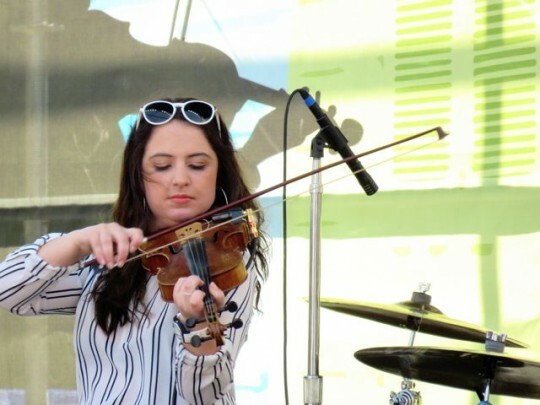 With more than 20 stages scattered throughout the Quarter, upwards of 1,700 local musicians performing throughout the day and evening, and small plates offered by the best neighborhood restaurants in lovely outdoor venues, it’s like a huge neighborhood block party. 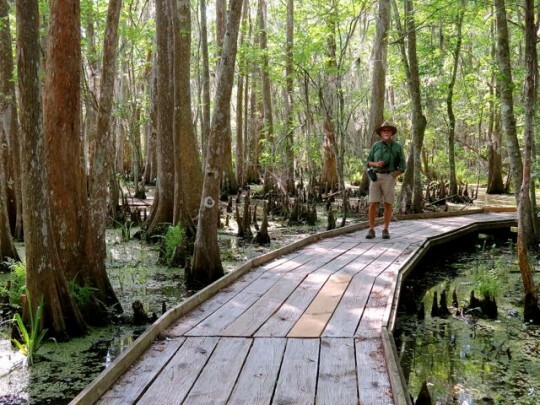 In keeping with our attempt to rein ourselves in a bit (not an easy feat when New Orleans beckons), we stayed five nights at Bayou Segnette State Park, but spent only three days in New Orleans, followed by one day on the trails at nearby Barataria Preserve for a different kind of wild. Adding to our enjoyment were our new friends Ed and Diana, whom we met on Dauphin Island—they decided on the spur of the moment to accompany us to New Orleans for a couple of days. 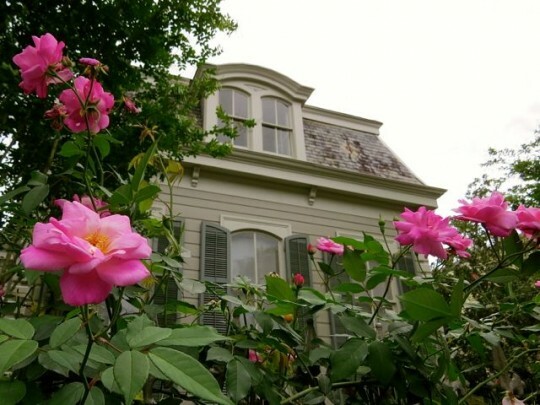 Bayou Segnette SP is perfectly located for visiting the city—it’s an easy 12-mile drive to the ferry landing in quaint Algiers Point with its plethora of adorable candy-colored 1800’s cottages, and a five-minute ferry ride across the Mississippi, landing in the French Quarter. 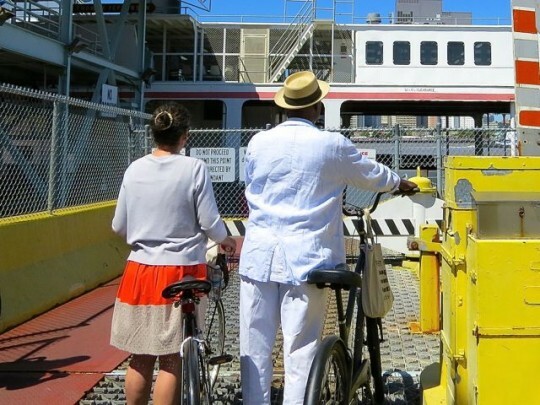 No driving in the city, no parking issues, and only $2 for the ferry ($1 if you’re over 65). Couldn’t be more stress-free. 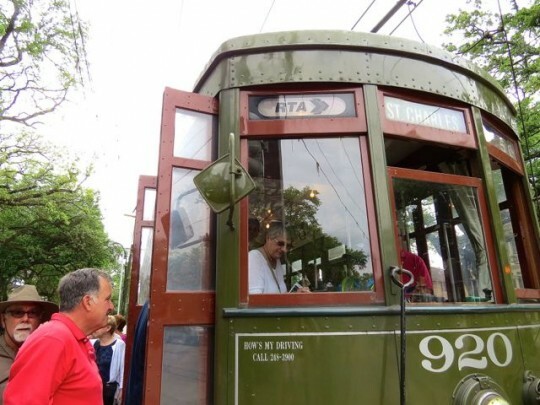 On our last visit to New Orleans a couple of years ago, we realized that we needed a guided tour to get the most out of our visit. In general, we avoid tours, preferring to just wander on our own, photographing and exploring at our leisure. But we were interested in learning a bit more about the city without the frustrating experience of “self-guided” walking tours. Trying to read from a brochure of tiny print while stumbling along city streets in search of landmarks is not my idea of fun. But I’m also less than enthralled with the idea of an expensive tour on a crowded tour bus with a bored or overenthusiastic guide delivering corny jokes. Luckily, we discovered Free Tours by Foot. It’s a pay-what-you-like arrangement, with local freelance tour guides who are highly motivated to deliver excellent tours. 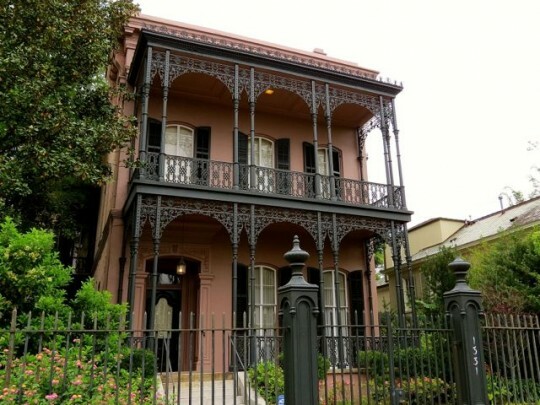 I booked reservations for tours of the Garden District and the French Quarter, and we were delighted with both (next time, we’re going to do the Voodoo Tour and the Food Tour). 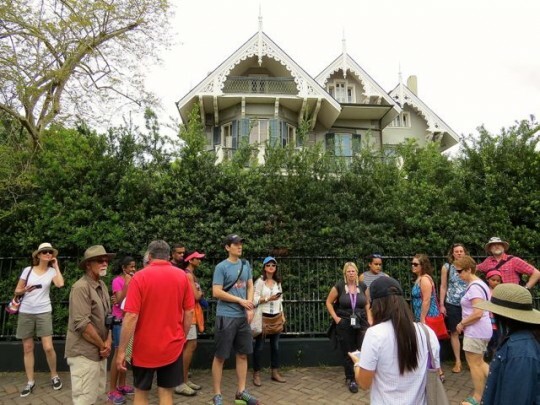 The guides were well informed, engaging, and humorous—we learned a lot about the history, architecture, and culture of New Orleans—including some of the local dirt. • It’s FREE! The festival is supported by food and beverage purchases, so no coolers or outside food or beverages are allowed. Water is the exception, and you should bring plenty because it’s generally hot in early April. (And you probably don’t want your only beverages to be beer and daiquiris.) The food is terrific, and for the quality, it’s reasonable at $5-8 per small plate. • Thursday is the mellowest day, with the crowds and events ratcheting up throughout the weekend. 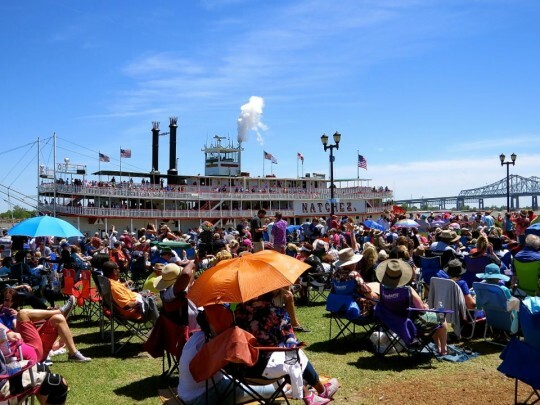 Saturday and Sunday at the big waterfront stages you can expect wall-to-wall people. Go early in the day and even the waterfront is manageable. • Wear a broad-brimmed hat or bring an umbrella for sun protection. There’s not much shade at many of the pavilions, especially those along the waterfront. • Bring a folding chair and set it up in a prime location early in the day. You can wander away at any time and come back when you’re ready. If your chair is unoccupied, someone will likely enjoy it while you’re away, but no one will take issue when you return. Locals told us this is expected; it’s all part of the neighborly vibe. 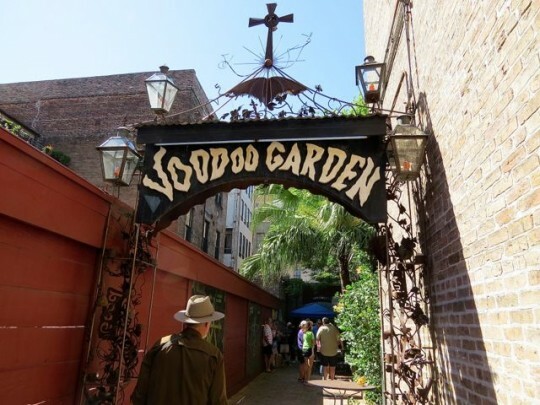 • Don’t miss just wandering the streets of the French Quarter. 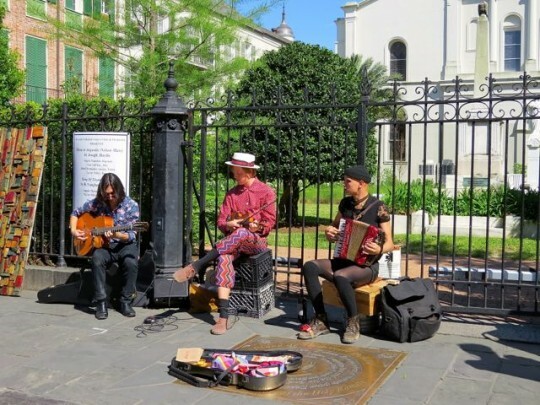 You’ll find plenty of entertainment—and fabulous musicians—on every corner. It’s also a delight to escape into an open-air coffee shop and watch the crowds go by. 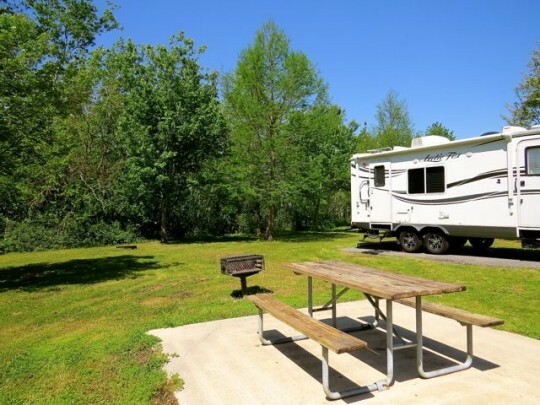 All of the sites at Bayou Segnette State Park are spacious and paved, with grassy lawns and a backdrop of lush green wild shrubs. Water and electric hook-ups, free laundry in the restroom complex, and good Verizon coverage; $28 per night. 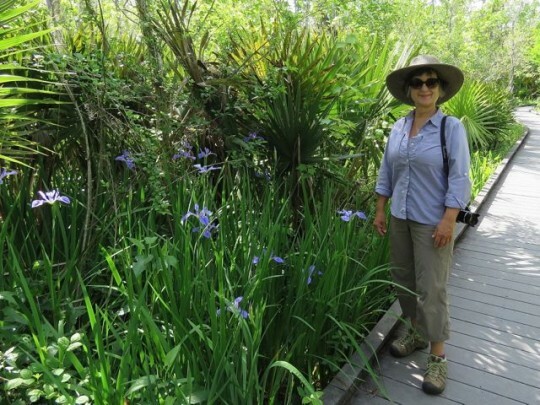 The big draw for us here is the location—we love being near New Orleans, but with the benefit of returning to a peaceful spot in nature in the evening. 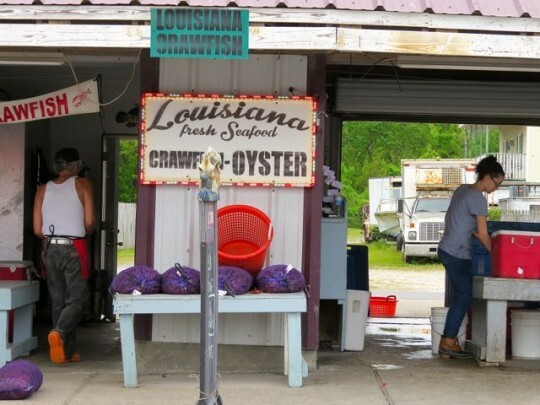 Bonus tip: Don’t miss the wonderful seafood market adjacent to the park—a dozen vendors offer excellent fresh shrimp, crab, and crawfish for some of the most reasonable prices we’ve seen anywhere ($3.99 per pound for beautiful Gulf shrimp). 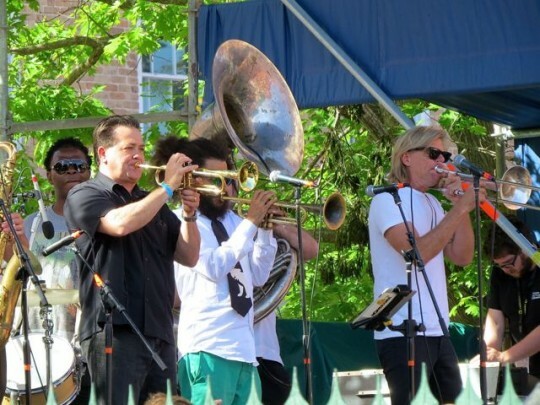 Sounds like you did NOLA just right! Years ago I saw Emeril Lagasse on a TV show and he prepared a savory cheesecake. Shrimp and Andouille sausage with a Parmesan cheese crust. I had never even heard of a savory cheesecake before and I grabbed a pen and furiously scribbled the recipe as he rattled it off. To this day, it is one of my favorites, a real treat. I never gave it much thought, but I guess savory cheesecakes are a New Orleans thing? Linda, I think savory cheesecakes must be one of New Orleans culinary specialities. We first tried the alligator sausage/shrimp cheesecake a couple of years ago at the festival, and it was the dish I was most looking forward to having again. I need to try making it myself (with the Andouille sausage, as you did). You understand just how delicious it is! Glad you had fun in New Orleans. 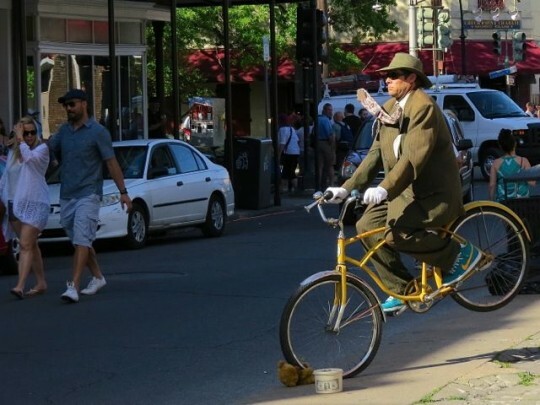 How come there aren’t any pictures of you busking on the streets? I bet your straw hat would fill up. Having been to Mardi Gras twice, I agree that it is “madness”. Your pictures of Bourbon St. make it seem so tame. Sheila, I’ll busk if you’ll join me. :-)) I’m impressed that you did Mardi Gras. I don’t think I’m up for the madness of it. 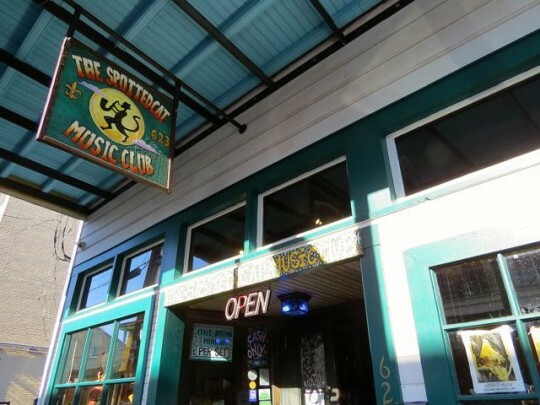 We avoid Bourbon Street even when it’s not Mardi Gras! friends and isn’t that the best…. 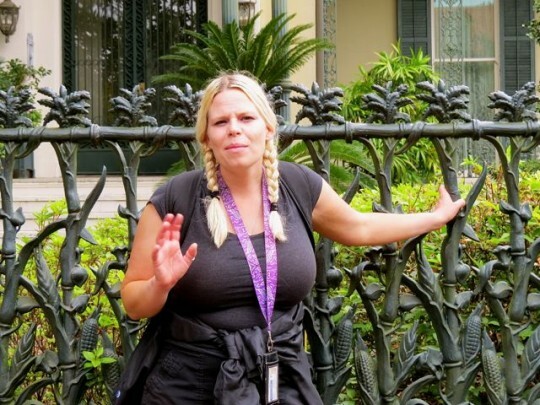 Jodee, spending Christmas in NOLA sounds wonderful! I’ll bet the city is beautiful at the holidays. Hmmm….gives us something to think about for a future trip…. The fresh seafood looks great and the video was fun to watch. Looks like you found another treasure in that state park. Glad you enjoyed the video, Debbie. The musicians in New Orleans are absolutely amazing. Such a delight to just wander and hear good music everywhere. I am so envious. 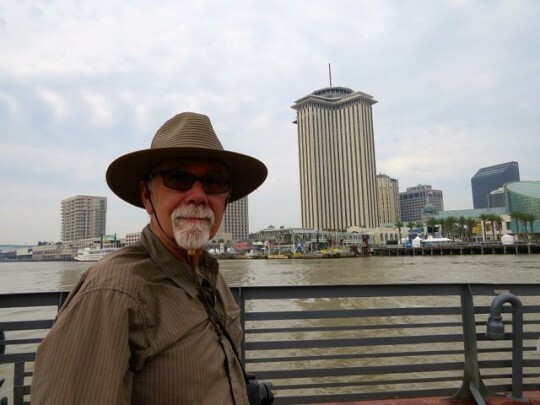 New Orleans has been on my bucket list for so long. That festival looks amazing! Love the video that you added and your description of the food choices sounds delectable. LuAnn, you guys will absolutely love New Orleans. I think it’s the most unique city in this country — it’s such a rich experience for all of the senses. It would be so much fun to meet up with you and Terry there. Eric and I definitely want to return. This is just the post I need to cinch the deal on a trip to New Orleans. You’ve told me exactly everything I need to know about where to stay and what to do. Those crab cakes are making my mouth water. 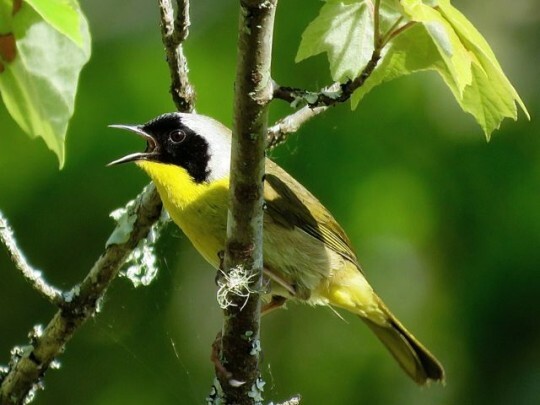 Your picture of the yellowthroat is fantastic. You just keep producing post after post full of photos that are a feast for the eyes. Sherry, I know you guys typically avoid cities, but it’s worth making an exception for New Orleans. Glad you enjoyed the photos. 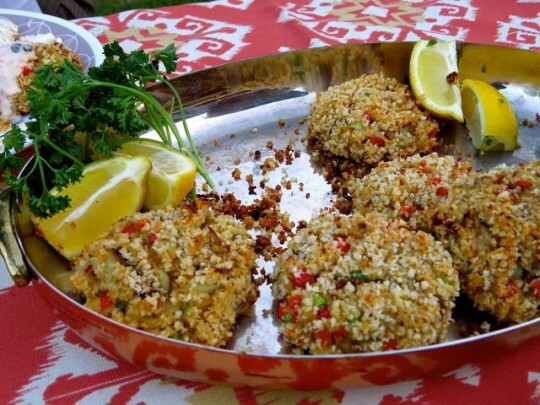 That’s my favorite crab cake recipe — baked, not fried! They were delicious made with fresh Gulf blue crab. Same campground, everything. It looks like we will be doing a yearly trip to South Carolina, so I am taking notes and using my yellow highlighter on the map. 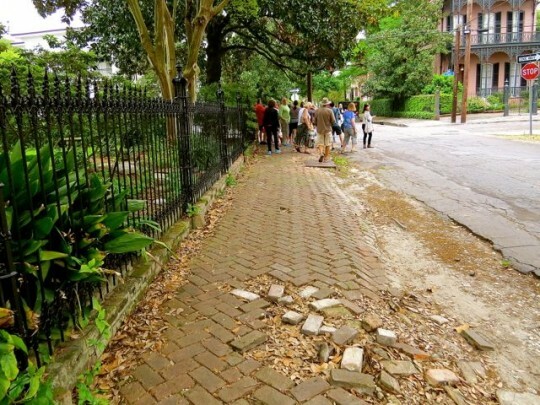 I haven’t been to NOLA since Katrina, so I am anxious to see how things have recovered. Such a bummer that your 5th wheel was ready to go home before you were, Pam. 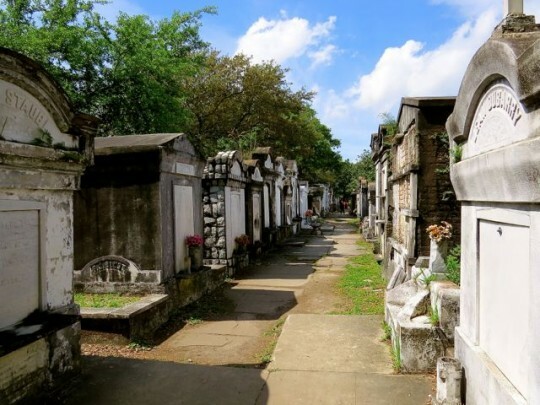 :-( From all appearances, NOLA seems to be thriving. You’ll have a blast there! We enjoyed our time spent at the Festival last year – it was such fun! Gotta look for the seafood shop next time, though. You seem to find all the goodies! I know you don’t want to leave the West, Pam, but I’m happy that you’ll be coming this way next winter so that we can meet up in Florida for some adventures. 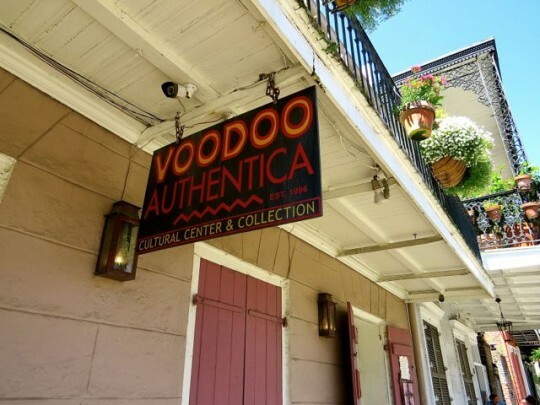 :-) And you’re going to love New Orleans! Definitely do the tour — at least one. Book a week or two ahead so that you’re sure to get in. Would love to have been there getting my ears tuned and my mouth full of gator bites…ahh…travel lust versus the gramma bliss of holding a sweet wee babe while he dreams…happy to be here now but marking the destinations when I can once again proceed as way opens. 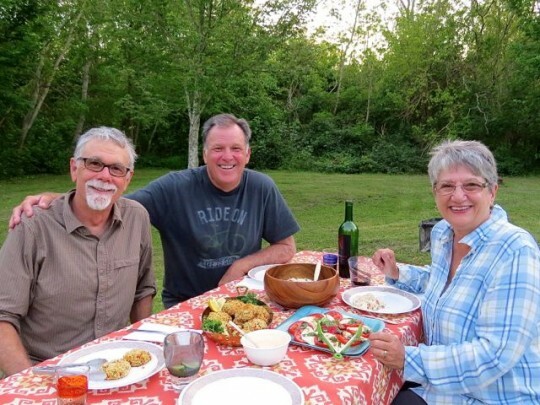 Thanks again for sharing your tasty adventures! 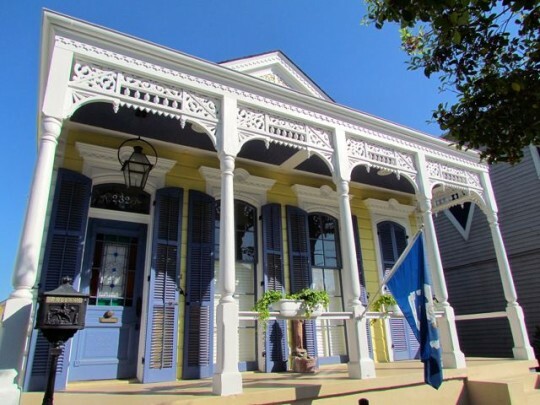 We’ve spent a fair amount of time in New Orleans in the past, lots of business conferences there. 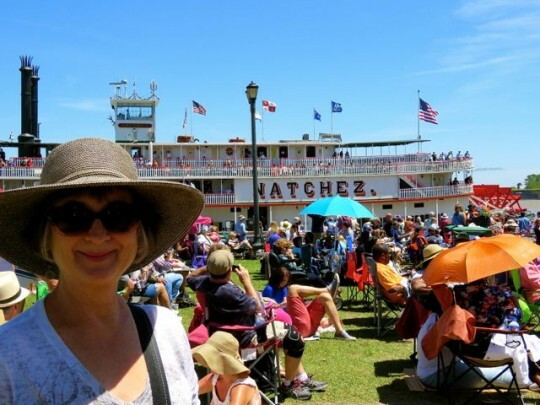 On our way back east next year we’ve been planning on staying at the State Park and taking the ferry over to the French Quarter, it seems a very lovely way to visit the old girl! Thanks for confirming our thoughts! 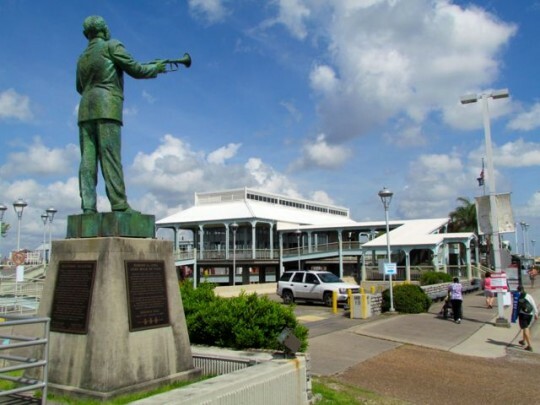 Is parking at the ferry terminal difficult? 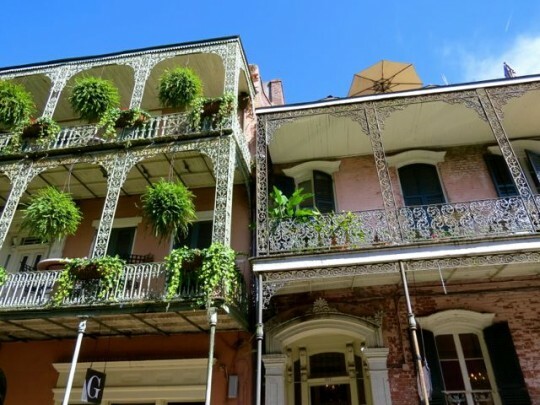 New Orleans is our favorite city. 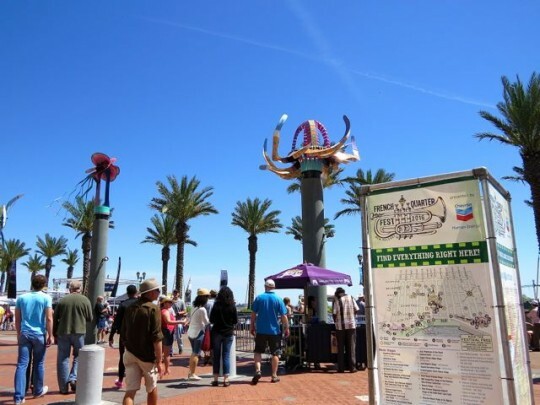 Having lived in Pensacola and being just a three hour drive away, we would spend at least several weekends a year there. We really liked it in December with all the Christmas lights and decorations. And no crowds. 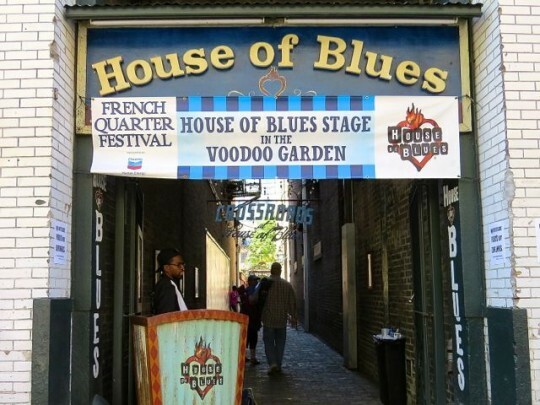 Many years ago we accidentally stumbled upon the second year of the French Quarter Festival. (The Jazz Festival is just too crazy. Once was enough.) There was hardly anyone there and we loved the variety of music and fireworks over the river, so we made it a point to go back for it every April. We watched that festival grow to where we finally quit going as they required minimum stays and raised the prices. Can’t imagine what it must be like now! Glad to hear that Algiers Point has been gentrified. Years ago it was not a neighborhood where you would want to leave your car. 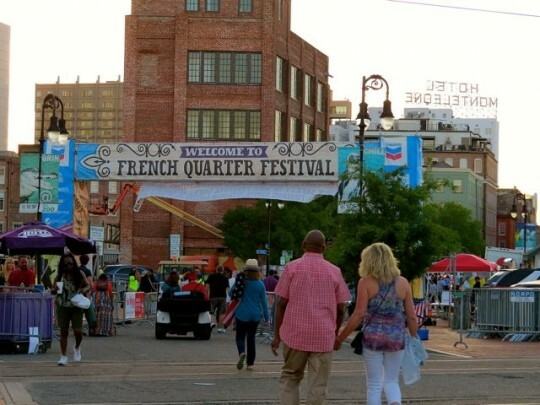 How fun that you’ve experienced so many years of the French Quarter Festival! 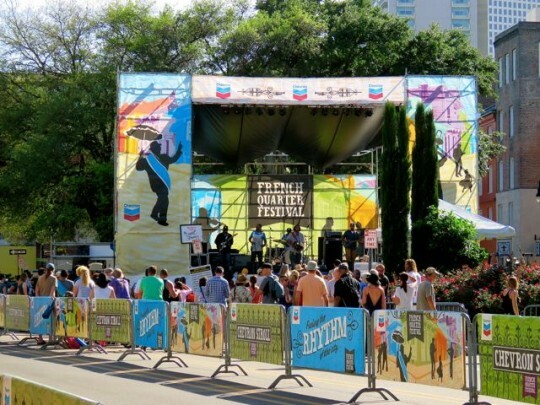 I know it’s grown a lot, but it’s still a wonderful festival and has a “neighborhood” vibe. 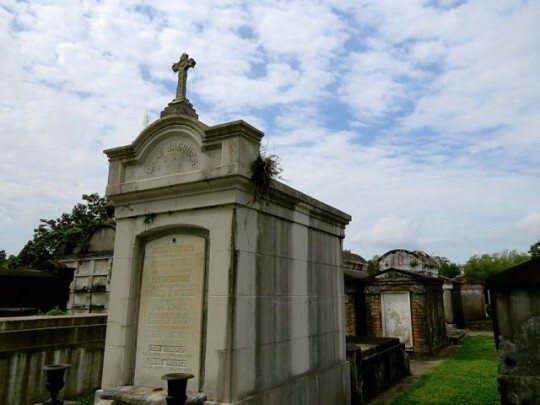 I think you will be pleasantly surprised by Algiers Point — it’s quite lovely. 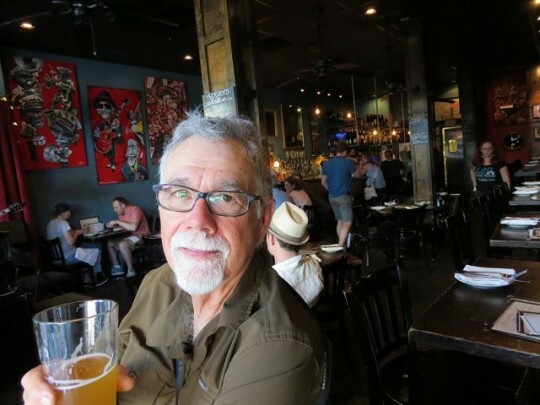 We have wonderful memories with NOLA, the city and the food. We tried to avoid the crowds, I guess its the age thing. And yes that seafood market near the SP was so convenient. We always take city tour and learned from it, some are good but some do a great job. You guys looked like you have so much fun! We had a fantastic time, ML — so much so that we want to go back again soon. I’m looking forward to doing a couple more tours with Free Tours by Foot as well as hearing more music. And eating more great food! So I am confused…when I lived here 30 years ago (yikes!) there was the “Jazz Festival” in April. Are these now one and the same? 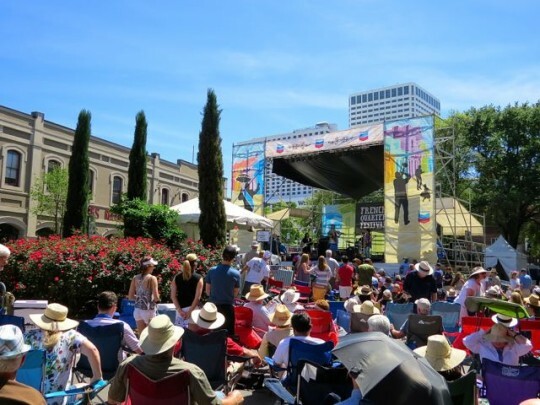 Suzanne, the Jazz Festival takes place the third week in April, about two weeks after the French Quarter Festival. The line-up looked amazing — they attract big names! But it doesn’t hold the same appeal for us, because it’s held at the Fairgrounds and everyone has told us that it’s an insanely crowded venue. 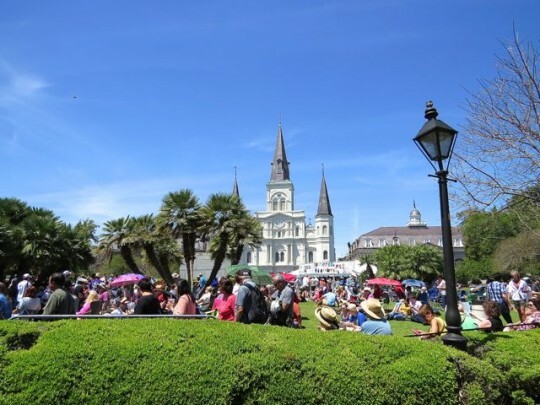 We love being able to wander the French Quarter and enjoy the “neighborhood vibe” of the French Quarter Festival. Hi Laurel, we finally have stayed put long enough that I can get caught up on your blog. 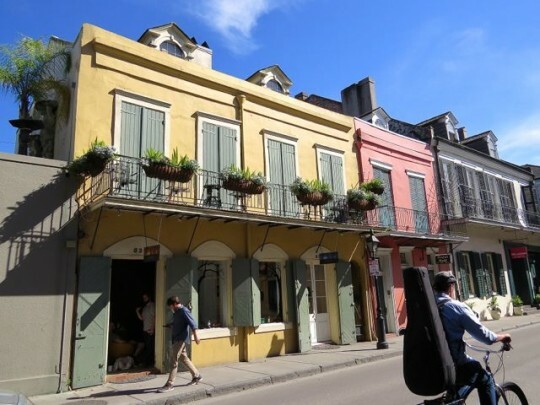 Love the music clip…Someday, I’ll get to New Orleans. 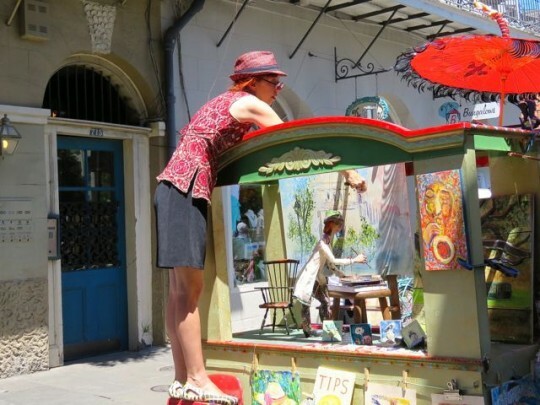 Brenda, you guys should definitely make a trip to New Orleans with your new trailer!